I needed something else to satisfy my ramen craving for day 6 so I picked up this 4 minute instant ramen at the nearby conbini. 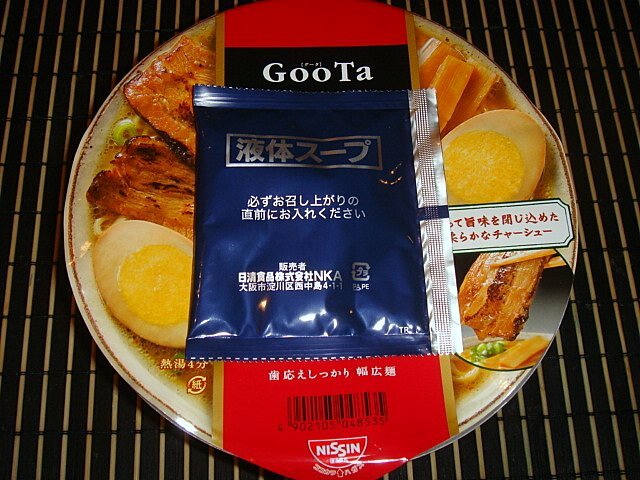 Apparently, GooTa has been popular with the salary-men who want more than just cup ramen but not have to pay the price of real ramen. 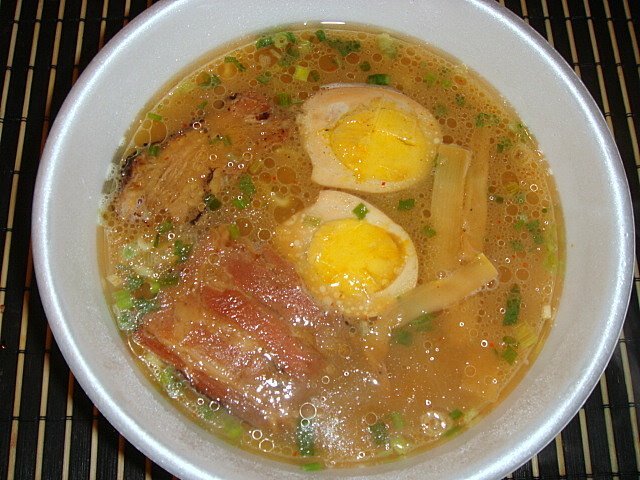 An instant ramen that has real egg and chashu was enough to convince me to give it a try. 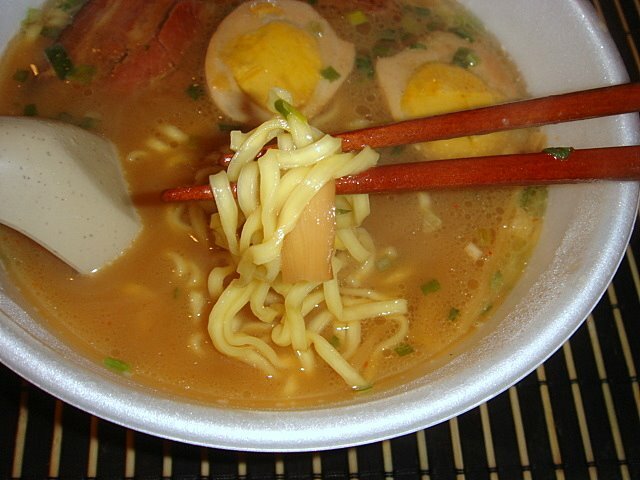 This instant ramen was slightly more complicated to make than just adding water and it went something like this. Open the bowl halfway. Take the purple pouch (menma, egg, chashu) and boil it separately in a pot on the stove. Then take the turqoise pouch and add it to the noodles and fill the bowl to the line with boiling water. Rest the dark blue pouch on top of the bowl as you wait. 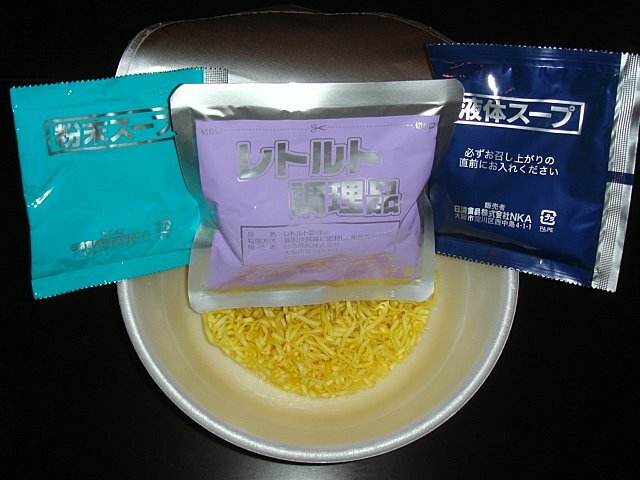 After 4 minutes, add the blue pouch and the purple pouch to the rest of the ramen and enjoy! Can you believe that this is instant? And not even nama? I can understand why the salary-men like it. If I closed my eyes it almost tasted like real ramen-ya ramen. The noodles would have given it away though. They are slightly chewier than cup noodle and have instant written all over them. 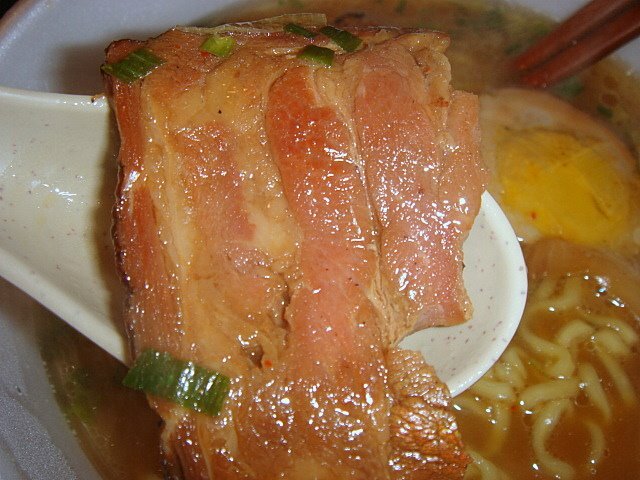 This fresh-looking chashu didn’t taste bad either, although it seemed to just evaporate in my mouth. 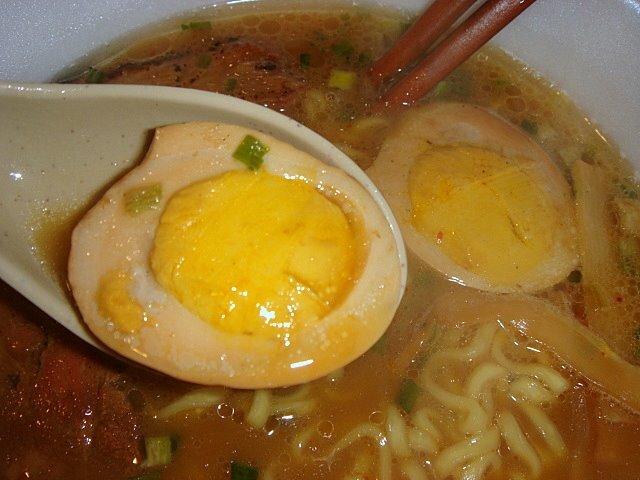 Now the egg was just disgusting. It’s rubbery crunch will not join the rest the next time. 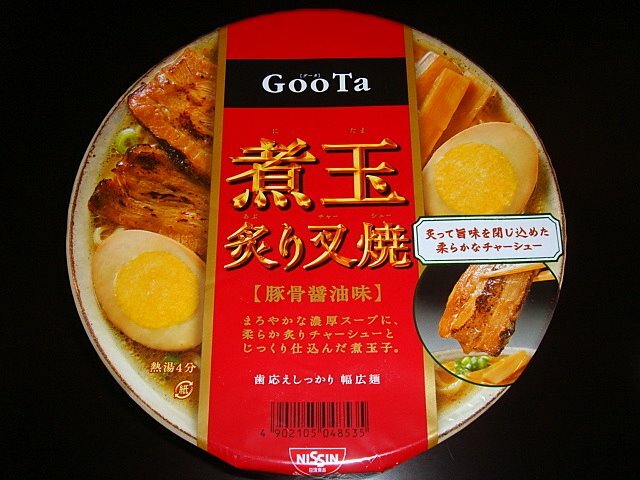 Overall (minus the egg), this GooTa was really good for being instant. 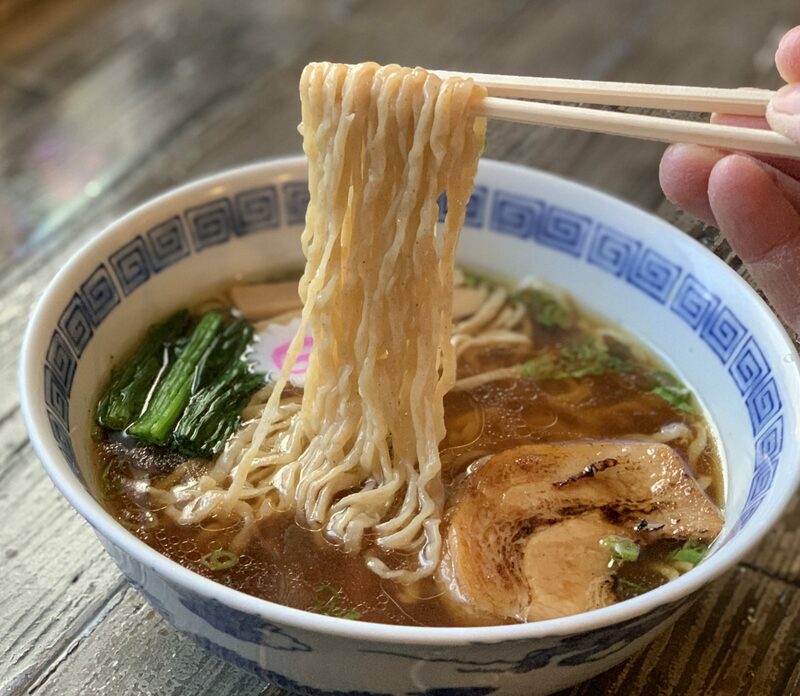 That Chashu is not dehydrated, I've had these noodles before they're great. It comes in a vacuum sealed pack and when you squeeze it out its all slimy.